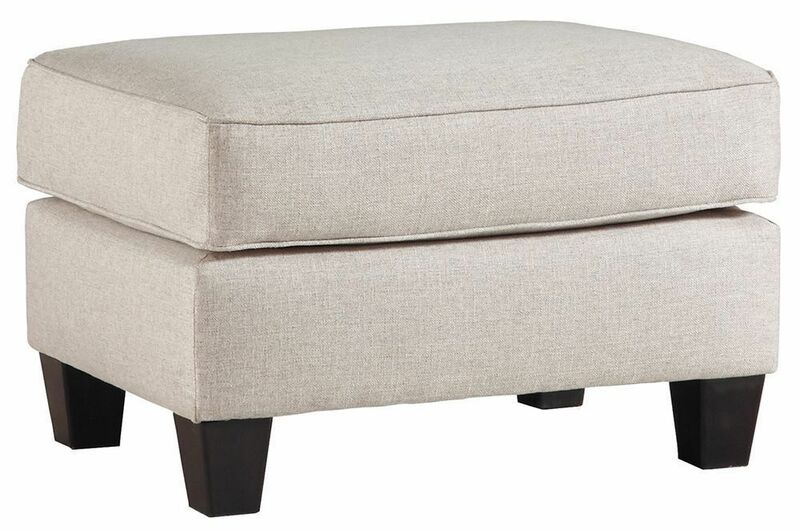 The Marrero Fog Ottoman melds a designer profile with sumptuous comfort. 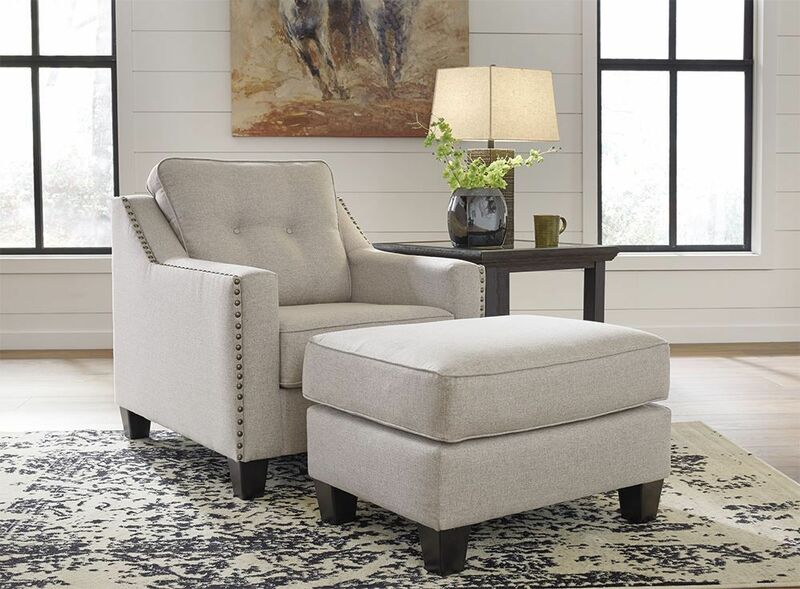 It's suitable for numerous living room atmospheres, thanks to its neutral upholstery and clean style. 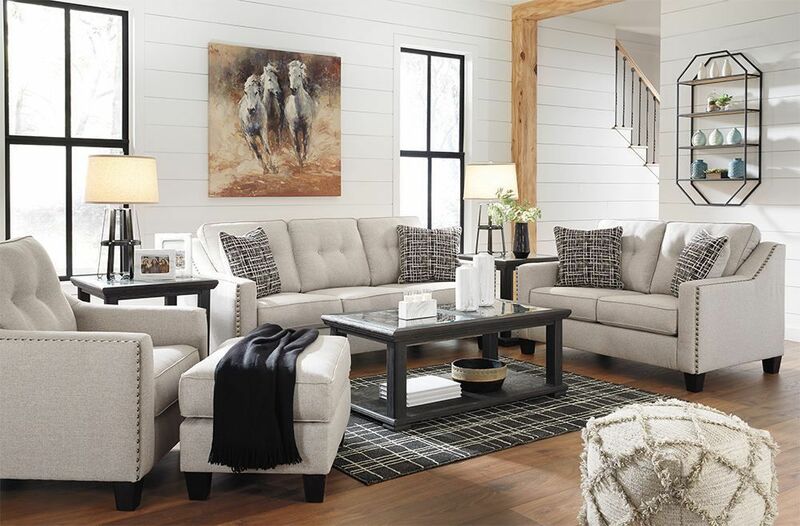 Perfect for resting your tired legs or providing seating for unexpected guests, this stylish living room must-have will serve all your needs. 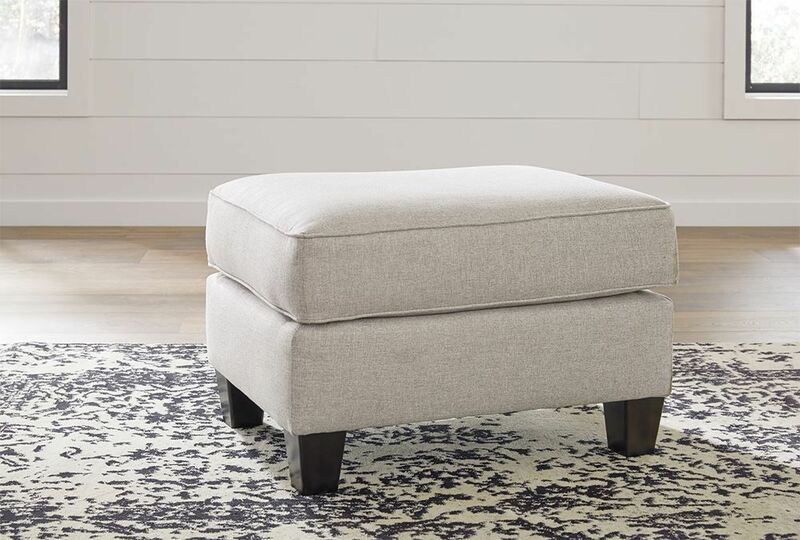 The Marrero Fog Ottoman melds a designer profile with sumptuous comfort. Cushion is constructed of low melt fiber wrapped over high quality foam.